After launching last August for the Apple Watch, Microsoft has now introduced Outlook to Android Wear and your current smartwatch. With this introduction, Microsoft is really giving you a whole new watch face that has Outlook embedded within, hoping that you will let Outlook control your day. With Outlook set as your watch face, you will have quick access to an overview of your day, or at least whatever you have coming within the next 12 hours. Outer dials around the watch face are color-coded to match what you have set your calendars at certain time periods, plus a tap on the shortcut to the next item on your schedule takes you into deeper details, along with a timeline going forward. The watch even shows you how many emails you have received since you last looked at your phone. If you don’t any upcoming items, the watch face will at the very least, show you the most recent email you have received. 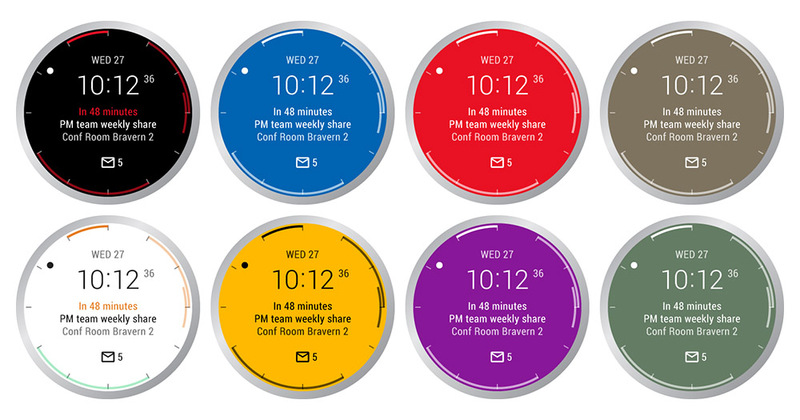 Outside of the schedule management, the Outlook watch face allows you to color change the watch face to your liking, plus you can now interact with notifications that come in by choosing to archive, schedule, flag or delete emails. Be sure to grab the newest Outlook update and set the new watch face.